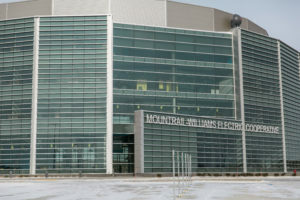 The four-story, 85,000-square-foot building was designed by JLG Architects to achieve a LEED® Gold certification with an emphasis on highlighting the efficient use of electricity, while creating a beacon for MWEC on the north side of Williston. 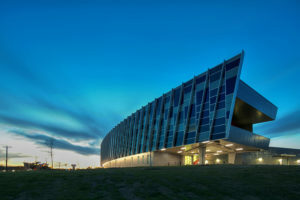 The construction manager for the build was the Williston office of FCI Constructors, Inc. Gage Brothers produced precast concrete products, including the walls to anchor the large expanses of Tubelite’s curtainwall finished in a Class I Clear anodize by Linetec. 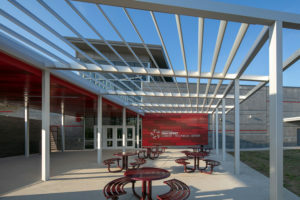 “We are very pleased with our building and the ease of which the curtainwall construction was brought to the project. Most of all the beauty and the energy efficiency it brought to our building, we are so proud!” said MWEC’s general manager, Dale Haugen. 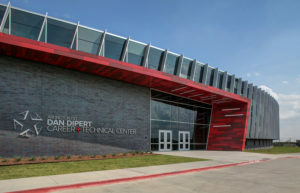 The new building was necessary to accommodate a decade of unprecedented growth at MWEC resulting from the oil boom in the Bakken Region of North Dakota. The cooperative currently has 84 substations in its service area compared to just 19 in 2007. The city of Williston’s population has doubled since 2007. The demand has seen MWEC, a not-for-profit, member-owned electric distribution cooperative, nearly tripled its workforce since 2010 to manage a consistent backlog of requests for power. MWEC’s and JLG’s shared overarching design goal for the new headquarters was focused on “looking to the future,” said Lippert. 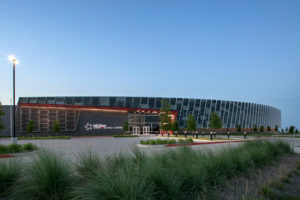 “The entire design aesthetic is aimed toward employee experience; not just now, but for the future generations MWEC is investing in.” He added that showing commitment to the community and the co-op, plus showing commitment to being leaders in energy conservation were two more key design goals for the project. 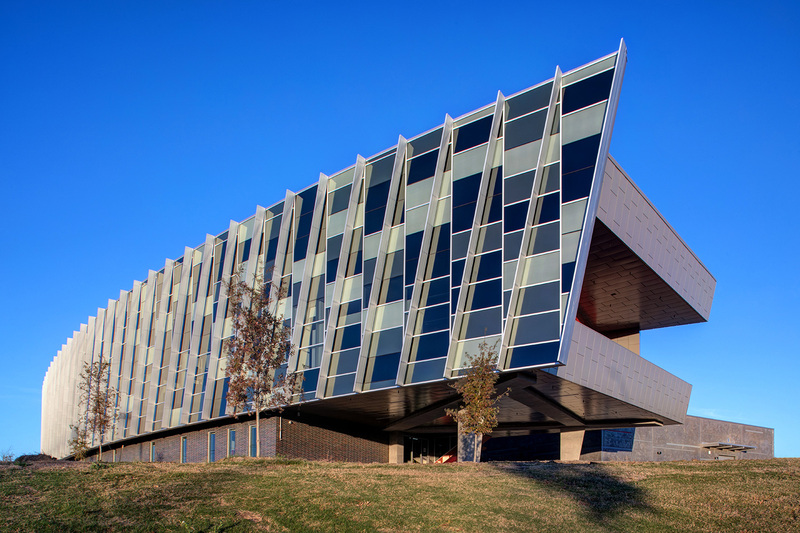 As the MWEC building’s defining feature, Tubelite provided 41,000 square feet of 400TU Therml=Block® Series Curtainwall. The transparency of this glass and the aluminum systems frame the active, productive offices and collaborative workspaces within the new, modern, corporate headquarters. 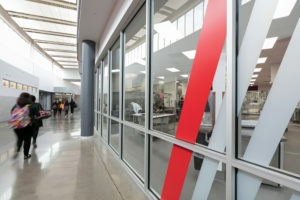 Fargo Glass and Paint Co. also worked with Tubelite to integrate MWEC’s name in large metal letters within the façade. In addition to creating the desired appearance for MWEC’s headquarters, the curtainwall offers high performance to withstand the Dakota wind and seasonal temperature extremes. The curtainwall’s custom 8-inch-deep face covers were designed to help with sun control and to meet or exceed today’s stringent energy codes and current LEED criteria. Tubelite’s sales and engineering teams worked closely with JLG Architects and Fargo Glass from the project’s earliest stages. Tubelite’s architectural take-off (ATO) services group then provided further support to Fargo Glass during the bid stage. 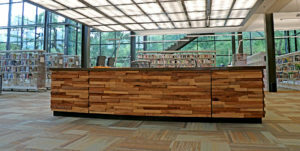 Tubelite’s local representative, Hillesheim Architectural Products, Inc. (HAP, Inc.) also was involved throughout the project. Tubelite can provide ATO services for qualified clients on special, larger projects, according to Rick Hillesheim, HAP, Inc.’s president and Tubelite’s territory client development manager. For the MWEC project, the Tubelite ATO services group supplied the shop drawings plus related engineering services. 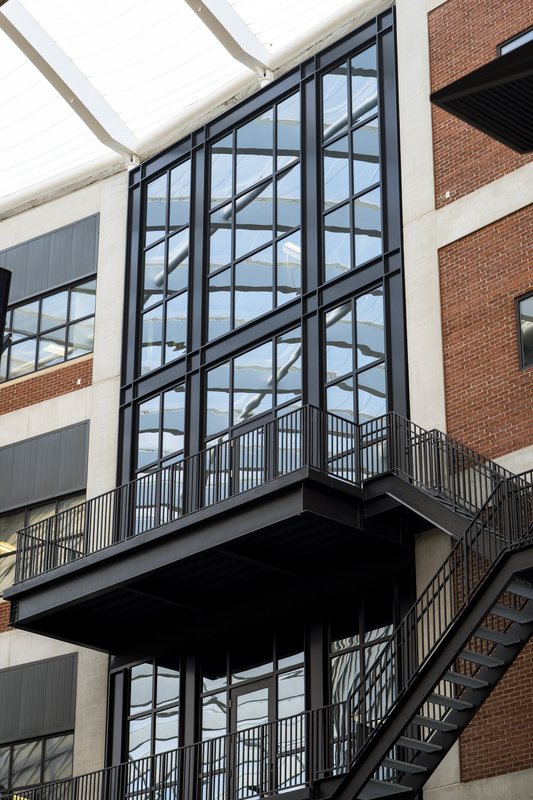 “Tubelite’s products create a vast majority of the exterior envelope,” said Lippert. Complementing the façade, Tubelite provided 400 Series Curtainwall, E14000 Series Storefront Framing, Narrow Stile Entrances to complement the and Therml=Block Wide Stile Entrances. 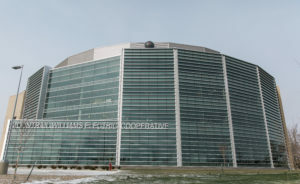 A total of 96,168 lineal feet, 18.2 miles, of aluminum weighing approximately 141,000 pounds was installed by Fargo Glass. Along with the extensive use of Tubelite’s systems on the building envelope, its curtainwall, storefront framing and Narrow Stile Entrances are used throughout the interior lobby and 97 offices. 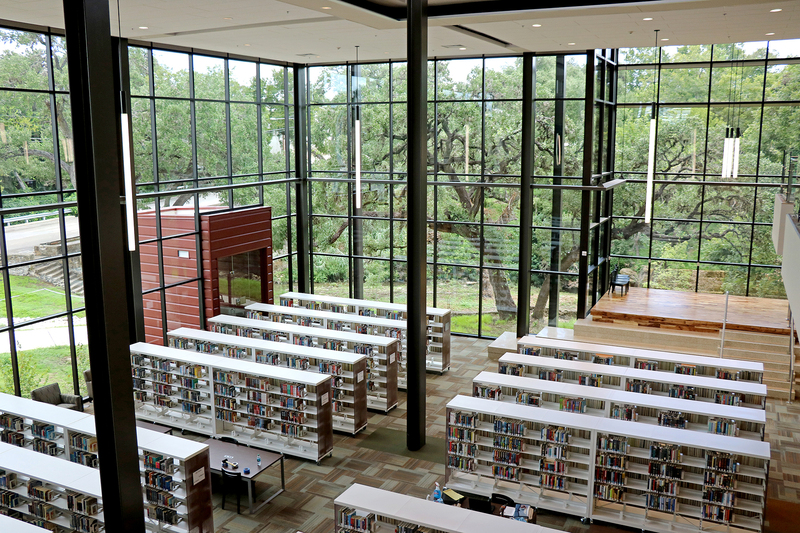 Insulated, tempered and laminated glass units using low-e coatings for high thermal performance contributed to achieving the project’s requirements. With the nearby highway, the high-performance glazing also helped meet the acoustic specifications. 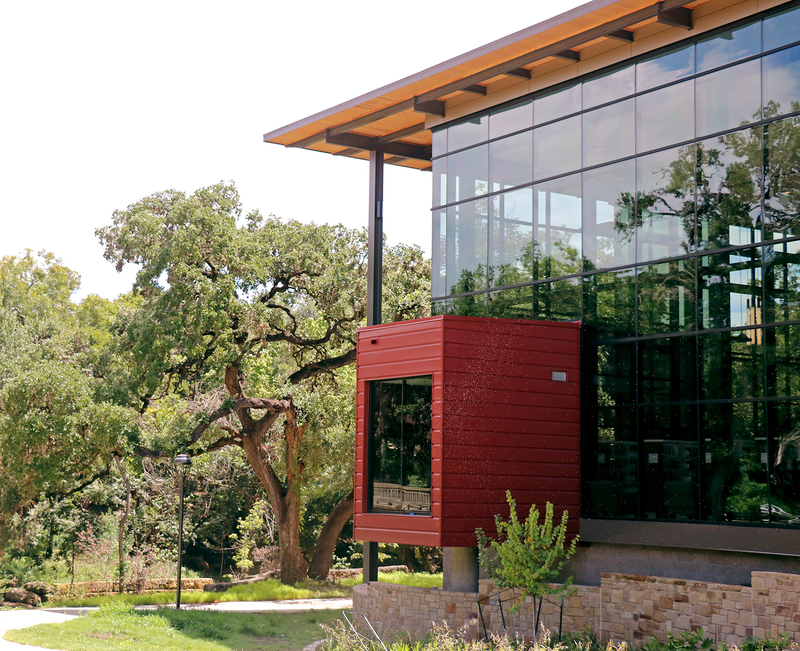 Multiple glass types were selected for the vision and spandrel applications. 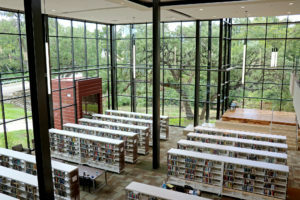 “Some of these bays are 64 feet tall and made up of 32 separate units,” noted Joe Haider, branch manager at Fargo Glass. The on-site project work by Fargo Glass was managed by FCI Constructors, Inc. from June 2017 to Oct. 2018, including over a cold winter. Three people would fabricate the system in Fargo Glass’ shop in Minot, North Dakota. The pre-assembled framing system would be trucked to the job site in Williston, where a team of eight would install it in the field. One such hiccup, Hillesheim remembered, was encountered just before a holiday weekend. “Tubelite responded quickly, fixed it over the weekend and communicated all the way through each stage of the process. I’ve never seen something turned around so quickly,” he praised. 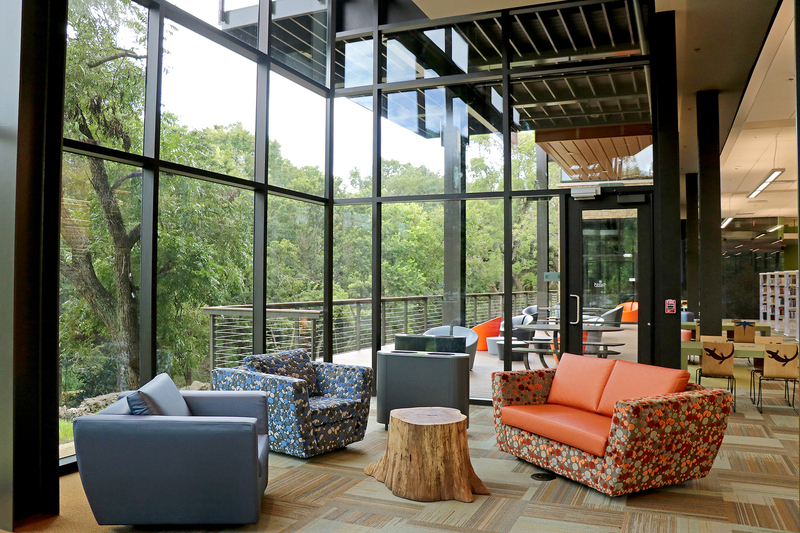 “It’s phenomenal to see the whole building now that it’s complete,” echoed Hillesheim. 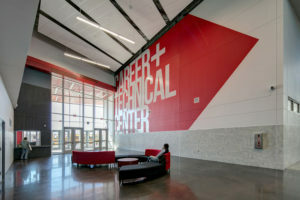 The finished project showcases many environmentally responsible and energy-efficient components, which presents MWEC as a leader by its example. 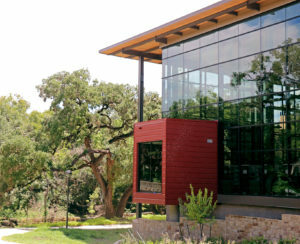 The building’s orientation and thoughtful application of Tubelite’s glazing systems maximizes the abundant natural light. 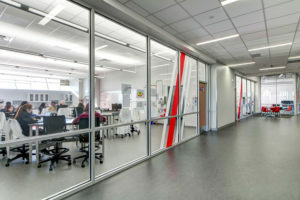 MWEC’s facility also incorporates motion and sound sensors for optimizing electric lighting use throughout the building. In addition, 150 geothermal wells on the property, each drilled down to 300 feet, heat and cool the entire building with renewable energy. 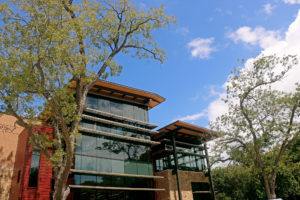 Another environmentally friendly design decision included recycling 92 percent of the weight of the old building when constructing the new and expanded headquarters. One visible example is seen on the walls of each conference room, where the old interior wood trim was repurposed for decorative touches, connecting MWEC’s humble beginnings to its burgeoning future. 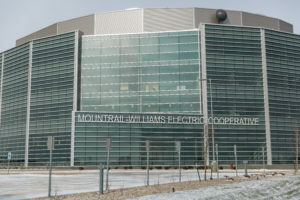 Today, the new corporate headquarters house all of MWEC’s 79 employees in Williston, as well as employees from Basin Electric Power Cooperative, while allowing extra room for additional employees to come. To promote collaboration, there are “huddle rooms” on each of the four floors, where employees can gather to work together on challenges. Some of the rooms are equipped with video screens and cameras so the co-op’s employees in New Town and Stanley can join meetings. Celebrating the beginning of its second academic year, the Dan Dipert Career + Technical Center (CTC) serves approximately 2,400 students from across the Arlington Independent School District (AISD) in Texas. 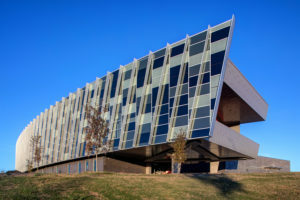 Designed by VLK Architects, the CTC incorporates Tubelite Inc.’s storefront, curtainwall, entrances and sun shades – on both the building’s exterior and interior – emphasizing transparency to promote collaboration and connection. VLK Architects extended the CTC’s signature look to create all-inclusive, branded facility. 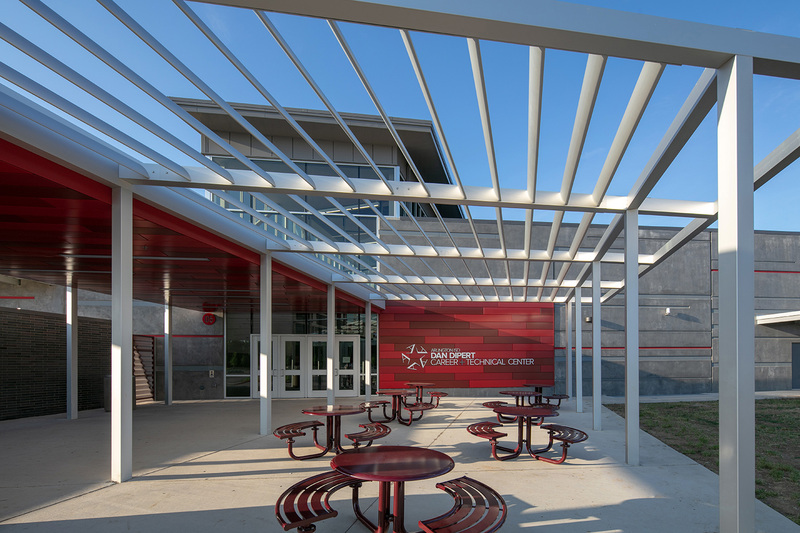 Hunt explained, “The brand for the program and the building had to be united, easily recognizable, simple and powerful, symbolizing the opportunities the Center affords students in this large district. It was inspired by the building itself, using the (Tubelite) sun shade fins as the repeating image throughout. 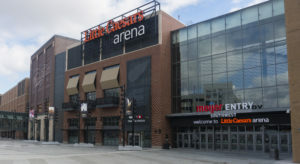 In May 2018, Little Caesars Arena earned the Sports Facility of the Year Award by Sports Business, based on excellence, growth, creativity, innovation, sound planning, implementation and outcomes. 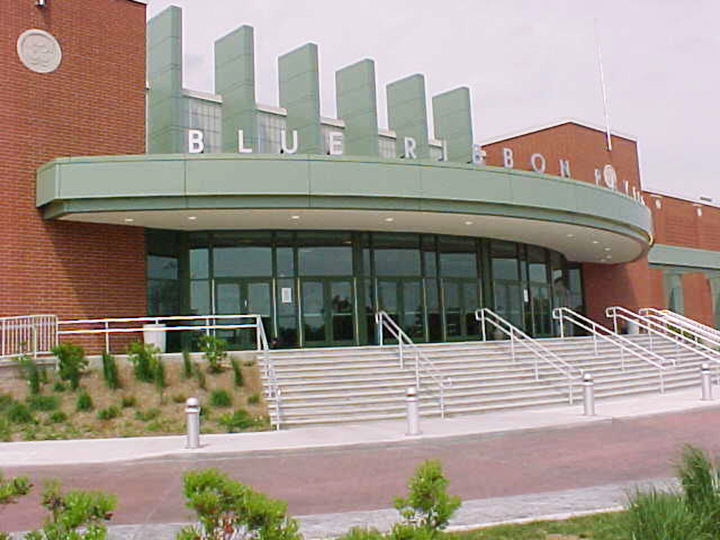 The arena’s “deconstructed” design features numerous buildings composing the whole sports and entertainment destination, and anchoring a 50-block area branded as The District Detroit. 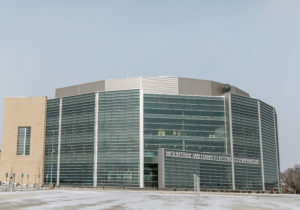 Designed by HOK and owned by Ilitch Holdings, Inc., the $862.9 million arena complex blends historic and modern aesthetics with massively scaled, fan-friendly interiors and modestly scaled, pedestrian-friendly exteriors. 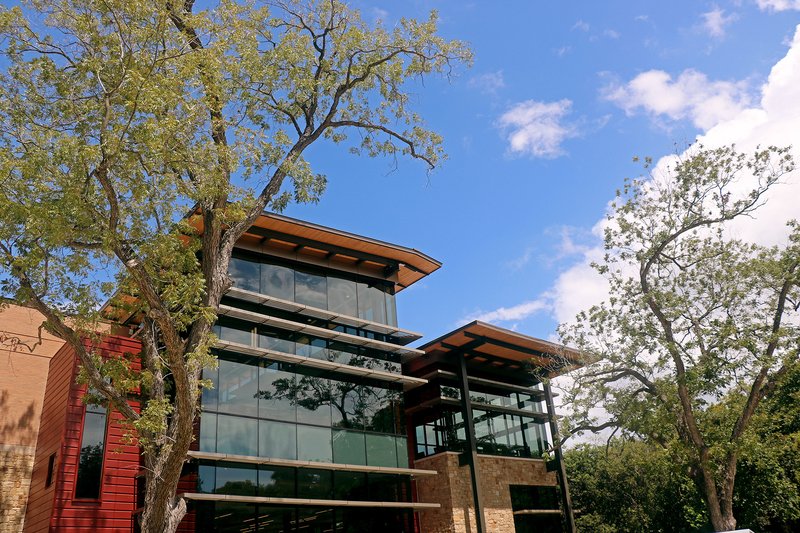 Contributing to this exterior, Tubelite Inc.‘s curtainwall, storefront and entrance systems support the project’s aesthetic, sustainability and security goals for completion on time and within budget. This approachable sizing is complemented by a 61,000-square-foot covered concourse and three connected, mid-rise buildings (A, B and C). Their upper floors are office spaces for Google, 313 Presents, Detroit Red Wings and Olympia Entertainment. 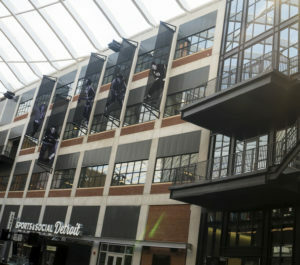 The street levels offer restaurant and retail services, such as the Detroit Pistons and Red Wings’ team store, Mike’s Pizza Bar, Sports & Social Detroit, Kid Rock’s Made in Detroit and District Market. 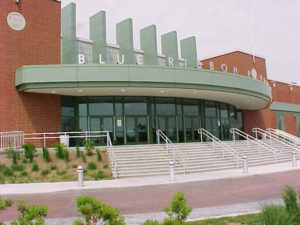 Detached from the arena and concourse, the parking garage also has a covered walkway bridge to the arena. 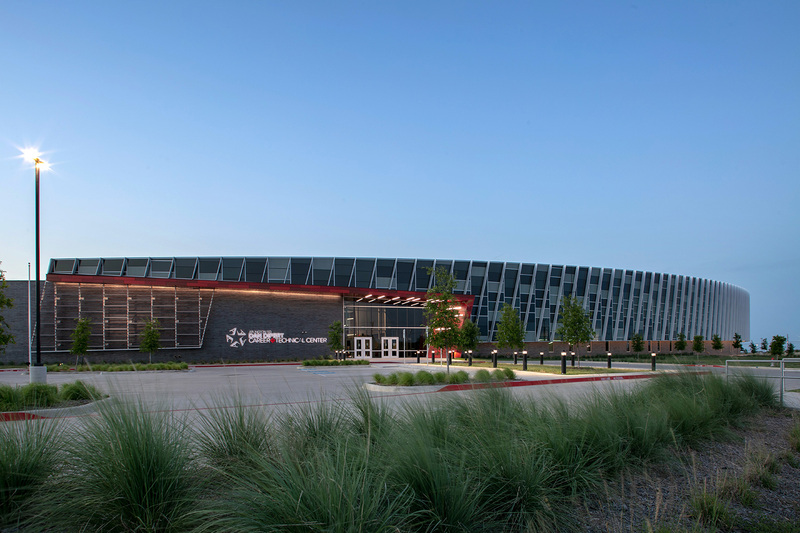 On these buildings’ exteriors, Tubelite provided 30,100 square feet of 400TU Curtainwall in 7.5- and 10-inch-deep systems, and 186 Standard and Monumental Medium Stile entrance systems in four painted colors and a clear anodize finish. Linetec applied 70 percent PVDF resin-based architectural coatings using Valspar’s Fluropon® in Medium Gray and Black, PPG’s Duranar® in Traffic Gray, and Akzo Nobel’s Trinar® in a custom Detroit Red Wings color. 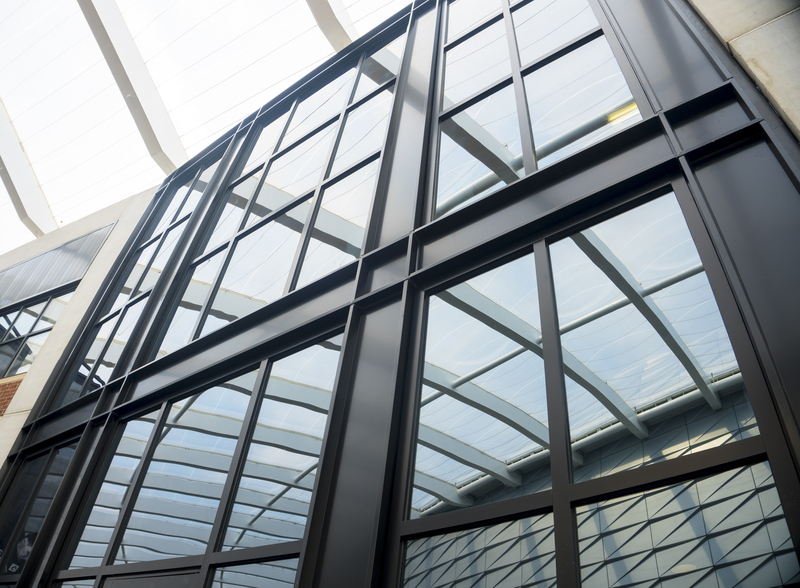 Class I Clear anodize also was used on the exterior curtainwall and doors, and Class II Clear anodize was selected as the interior finish for 11,500 square feet of Tubelite E14000 Storefront systems. 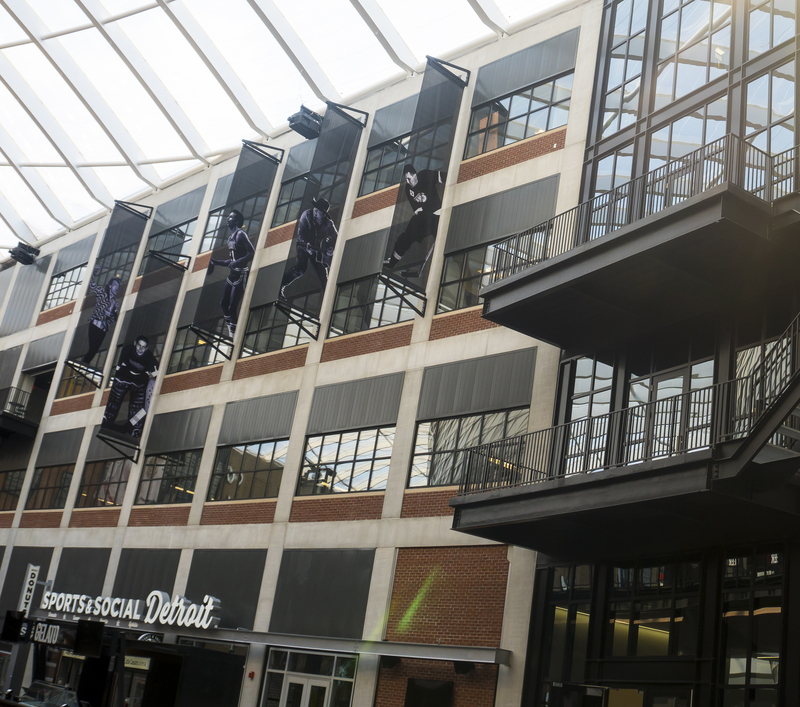 Madison Heights Glass installed Tubelite’s systems on the main arena building’s interior and exterior, on Building C’s team store and Sports & Social Detroit as well as Building A/B’s Mike’s Pizza. 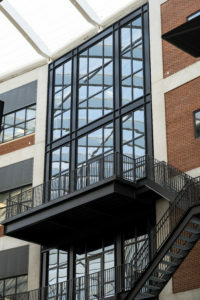 Universal Glass & Metals served as the glazing contractor on the parking garage, pedestrian bridge and three connected buildings. 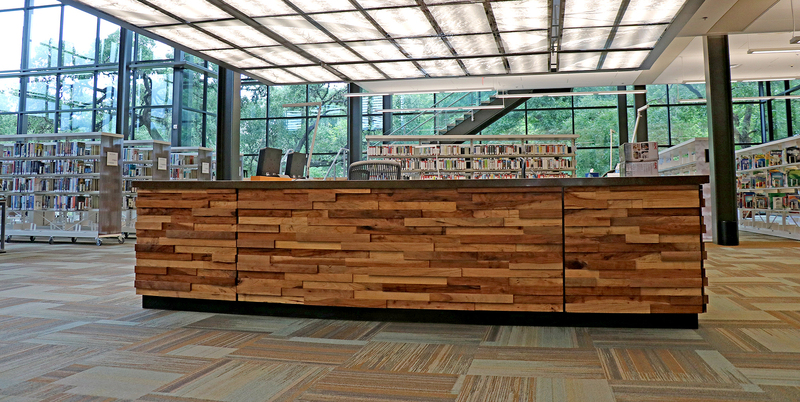 The durable finishes also reduced the need for maintenance costs and maximize long lifecycles. 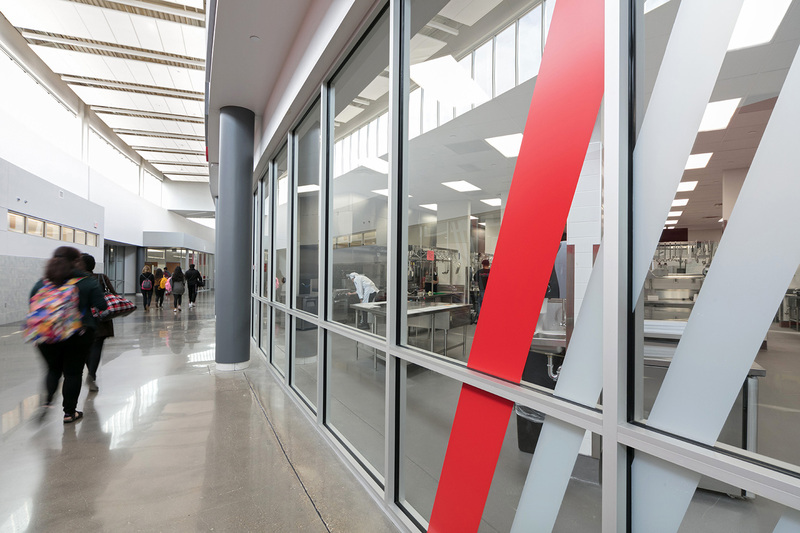 Under Linetec’s stringent factory-controlled processes, the finishes meet the American Architectural Manufacturers Association’s (AAMA) 2605 and AAMA 611 industry standards. As an environmentally responsible finisher, Linetec applies these high-performance painted coatings, and safely captures and destroys the VOCs present in liquid solvent-based paints before the finished products’ arrival on the building site. Anodize finishes do not contain VOCs and process byproducts are recyclable. Demonstrating its dependability and partnership with the collaborative construction team, Tubelite’s processes ensure orders are delivered undamaged, complete and on time. This also supported construction of Little Caesars Arena in its overall on-time and on-budget project completion. Joining Ilitch for the Sept. 2017 groundbreaking were Gov. Rick Snyder, Detroit Pistons owner Tom Gores, Detroit Mayor Mike Duggan, Detroit City Council President Brenda Jones and John Perkins, a carpenter apprentice on the project. Projects built for high traffic and longevity in mind depend on Tubelite’s tie-rod doors. “Considering that entry doors are among the most frequently used moving parts of a building, it is impressive how long aluminum doors last and how well they perform. The door of a high-traffic entry such as at a retail facility could see literally hundreds of thousands, or even millions, of openings and closings every year,” begins the article. Click here to continuing reading this online story. 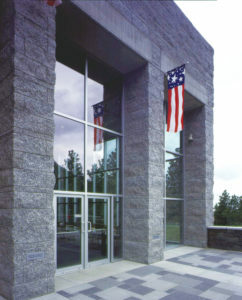 Please contact us if we can answer any additional questions for you regarding aluminum entrance systems, and let us know how we help you select the most dependable products for your next project.